The tongue drum (also known as the steel tongue drum, hank drum or tank drum) is a percussion instrument in the idiophone family (instruments that create sounds through the vibration of the material itself without requiring strings, membranes, or external resonators). It is a very melodic percussion instrument and highly appreciated for its relaxing sounds and ease of playing, which does not require any particular technique. Anyone can easily pick one up and start playing, with the number of slats or “tongues” equal to the number of notes it can produce. You can either use mallets or your hands..
To play with a tongue drum you can either use mallets or your hands. Although its origins date back to ancient times, the tongue drum has come back with a vengeance in the last few years, in particular thanks to the emergence of DIY versions made from propane tanks — one option being cutting off the bottoms of two tanks, welding them together, and cutting out “tongues” of different lengths on one side. Tongue drums come in many tunings: major scales, minor, Akebono, pentatonic and more. Certain kinds like the Beat Root feature the ability to be tuned in many ways, which increases their versatility. 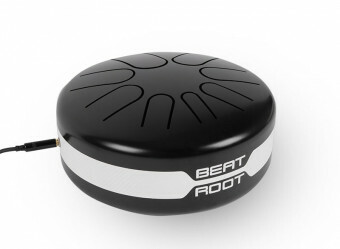 Fortunately, choosing a particular scale among the range available is no longer a difficult choice; with Beat Root, you can play up to 6 different scales with the same tongue drum. Moreover, although the timbre of a tongue drum resembles another percussion instrument, the Hang drum, the manufacturing process differs greatly as the latter is tuned by hammering — Fun fact: One of the names for a tongue drum, “hank drum” comes from combing “tank drum” and “hang drum.” Despite their commonalities, hang drums are much more expensive and thereby less accessible. 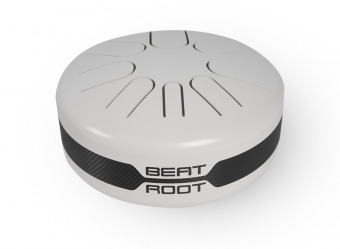 Furthermore, unlike the Hang drum or other handpan instruments wherein you have to wait several months before it arrives, Beat Root tongue drums are available for immediate purchase, and delivery takes only a few days. This means you can enjoy it sooner and quickly immerse yourself in creating melodies and songs. Additionally, shipping is free for all of Europe. Tongue Drum with all the same features as the acoustic model but comes with a microphone and 6.3mm jack. 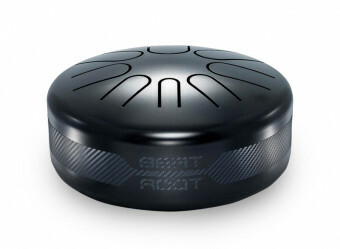 Comes in an All Black edition; offers 6 scales in one single tongue drum, thanks to an easy-to-use tuning system.